What if your audience could leave your event empowered to instantly improve their work performance, their communication skills and relationships, and their health? What if they had actionable tools that worked immediately to reduce stress without having to slow down or take time off? What if, months later, they were still thanking you for bringing a speaker that brought value not just to the work-place, but also to their personal lives? 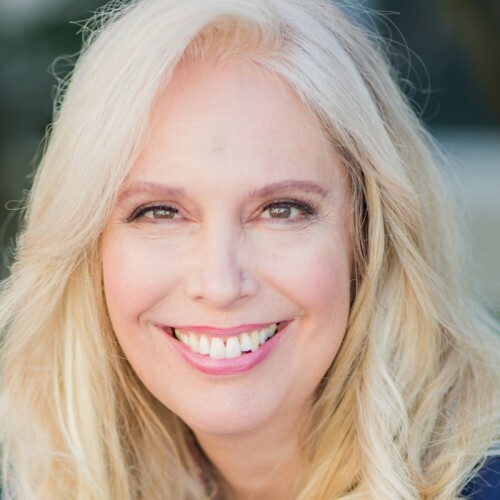 With 35 years of high-level performance experience, Elle Ingalls is creator of The Pressure-Free Method: the on-the-go stress-management method based on science that reduces stress, anger and anxiety fast and effectively. She is a former member of the Forbes Coaches Council. Her tips have been featured at Forbes.com. She holds three degrees from the University of Michigan: a Master of Business Administration, a Bachelor of Musical Arts, and a Master of Music. She was the first woman to be accepted into the orchestral conducting program at the University of Michigan, and a member of the Women's Varsity Crew, winning a silver medal at the Head of the Charles Regatta. Elle shows your audience how to use her fast, simple method to avoid triggering the "fight-or-flight" stress response that impairs performance on the job, at school and in our relationships. Her energy, humorous stories, and expertise provide your members with an experience that lasts far beyond her presentation. Keynotes, workshops, retreats, conventions, conferences, Elle targets her message to meet the needs of your participants. Stress is known as the silent killer, a leading cause of heart disease and cancer. But it also kills business deals, promotions, and professional and personal relationships. Elle shows you how to stay stress-free in all situations with her 10-Second Solution and her Nine Tools System. Her expertise in stress management for peak performance is built on over 30 years of experience as a professional violinist, conductor, author, college instructor, financial management consultant, athletic coach and symphony executive director . She shares her insights with audiences of all ages and all sizes. Her signature speech, Simple Steps to Instantly Reduce Stress and Enhance Performance can be tailored to your audience and event. If you are looking for an engaging speaker that is REAL, that shares content with humor and action, whose expertise can significantly improve all facets of business and personal life, Elle delivers. Other companies that wish to remain anonymous. For availability and fee information, contact elle@Pressure-Free.com or call 269-832-3573. Find out more about Elle Ingalls - Performance & Stress at http://www.ElleIngalls.com.